Today we had a lovely family from Texas on an afternoon tour in the north Maine woods. 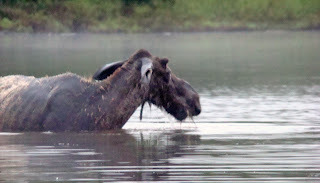 The thunder and lightening were intense, but the moose didn't mind. It was the perfect weather to do the moose safari by van. 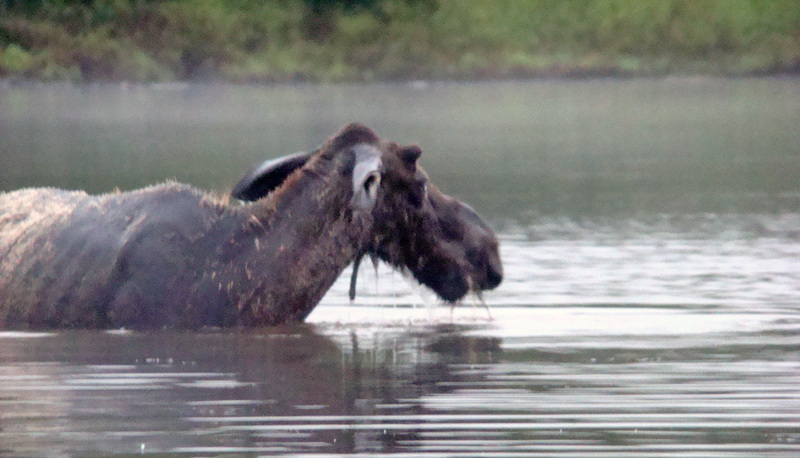 We were thrilled to see four moose! We spotted one bull, two cows, and a yearling. Some other wildlife that the northeast guide pointed out were a fox and a hare. It was an excellent way to enjoy both nature and the thunder storm!